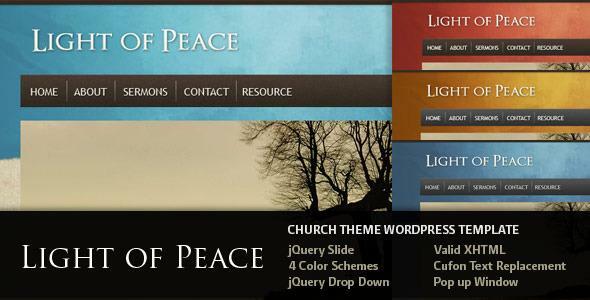 This is a church theme WordPress Template. Some people use it for wedding and non-profit website. There are four color scheme included in this template. This wordpress theme also has an admin panel. Share the post "Light of Peace"